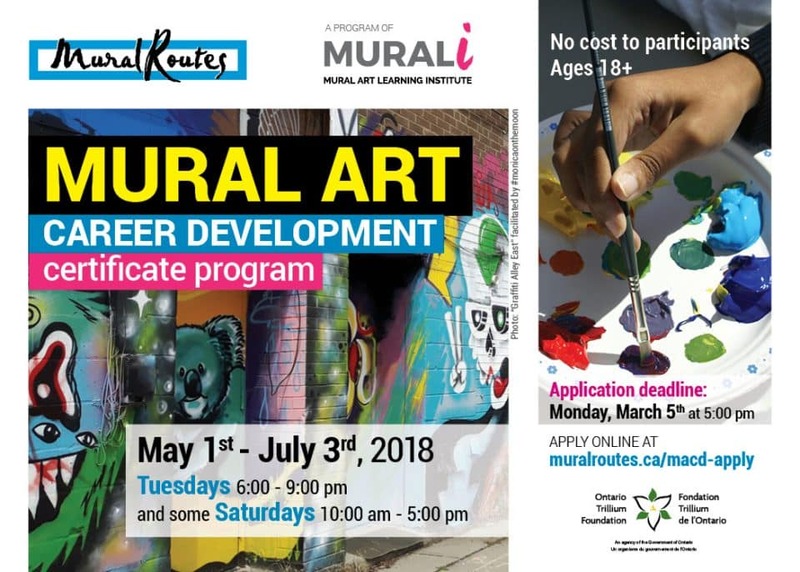 Mural Art Career Development is an intensive program for emerging mural artists and project managers who have completed some previous training. The 60-hour curriculum encompasses a wide range of relevant topics, from discussions of administrative fundamentals to hands-on practice with various mediums. Participants also benefit from a supportive environment with networking and placement opportunities. MACD is held annually in the spring. Emerging mural artists and producers are invited to apply for Mural Art Career Development: an intensive, fully-subsidized training program for mural artists and managers. To apply: Read our MACD 2018 Application Information package and fill out your application by 5pm on Monday, March 5th.